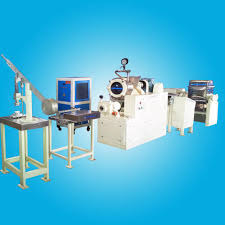 Pioneers in the industry, we offer soap machine plant, auto soap cutting machine, automatic soap bar cutting machine and soap penumatric cutting machine from India. 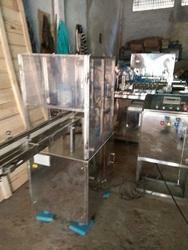 We specialize in manufacturing Technically advanced and a complete range of Soap Auto Cutting Machine. These products are used for the processing of toilet Soaps, Bar soaps, Laundry soaps and Detergent soaps. 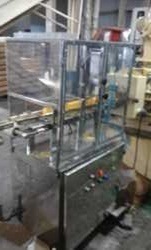 Our automotive soap processing machines produce various type of soaps that are used for washing, Cleaning, and bathing. We ensure that only high-grade Raw materials are used for our products and that they are in compliance with the international standards. Our SoapBar Cutting Machine is used for cutting slabs into bars and bars into cakes. We can easily prepare soap bars in required shapes and dimensions. These are fitted with cutting frames which are easily detachable and have steel spring wires. 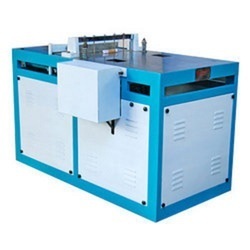 We are instrumental in offering to our prestigious clients a wide assortment of Automatic Soap Cutting Machine. Our offered range is well tested on various defined parameters in order to ensure its high quality and excellent performance before introducing it to the clients. Our clients can avail this offered range at affordable rates. Looking for “Soap Auto Cutting Machine”?